□ The Ministry of Social Development: no disagreement between the Ministry and the Bahrain Human Rights Society, and the latter has resorted to Courts. □ 526 registered societies until November 2010 & only two were dissolved by judicial and administrative decisions. □ The law allows civil society organizations to receive foreign funds on the condition that they obtain permission from the Ministry, which has granted 20 permits this year. On 9 November 2010, Amnesty International issued a statement following its visit to Bahrain in October 2010, which included criticism of the Government and civil society organizations. The statement also criticised what it called ‘Government interference in the internal affairs of human rights organizations’, especially the Ministry of Social Development’s decision of 7 September 2010 to dissolve the Board of Directors of the Bahrain Human Rights Society. The Ministry claimed that the Society had committed ‘legal and administrative breaches’, which violated Law No. 21 for 1989, regulating the activities of NGOs. 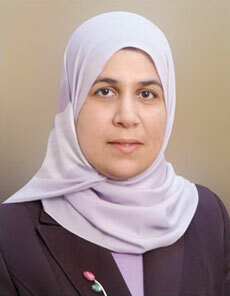 With regards to the new Associations Law, which is expected to be ratified by the Parliament, Amnesty urged the Minister of Social Development ‘to guarantee that the new law will be completely in line with international human rights laws, and with Bahrain’s obligations under international conventions’. Amnesty called to ‘enable NGOs to work freely and publically without fear of Government interference in exercising their legal rights to freedom of expression, assembly, and establishing and joining societies’. ■ What are the recent developments in the disagreement between the Ministry and the Bahrain Human Rights Society? There are some reports appointed to the Government’s intention to dissolve the Society or take complete control over it? We would like to inform you that there are no disagreements between the Ministry and any civil society organization. Thus, the measure and decision taken by the Ministry was due to violations by the Board of Directors of the BHRS of Law No. 21 for 1989, concerning associations, cultural and social clubs, the youth and sport committees and private institutions. The decision to appoint a temporary director for the Society was in accordance with the law mentioned above. The Society has rejected the decision and referred it to the specialized court, and the case is still pending. ■ What are the contributions of the Ministry in the issuing of a new Associations Law which fills the gaps in the current law? Will the new law provide a wider margin of freedom for civil society organisations, and limit the dominance of the Executive Authority over societies? With regards to the issuing of a new law which, would allow societies a wider margin of freedom, the Ministry has proposed a new bill for non-profit organisations. The draft was presented to civil society organisations through four workshops, the Ministry’s website, the National Centre for NGOs Support and the International Center for Not-for-Profit Law (ICNL). The draft was also discussed with civil society organizations, and their comments on the law, as well as those by the ICNL, were included in the draft before it was presented to the Government. ■ What is the number of licensed NGOs in Bahrain, and how many societies have been banned over the last ten years? According to the most recent statistics taken in November 2010, the total number of civil organisations is currently 526. Only two societies were dissolved in accordance with law No. 21 for 1989 during the last ten years. One was dissolved by a court ruling, and the other was dissolved administratively. Therefore, the percentage of dissolved societies is 0.37%, which is nothing compared to what takes place in other parts of the world. ■ The current Associations Law does not allow civil societies to receive financial aid from abroad. At the same time, NGOs complain of insufficient funds from the Ministry of Social Development. What kind of financial and non-financial aid have you offered these organisations? Law No.21 for 1989 allows civil society organisations to accept foreign aid as long as they obtain permits from the Ministry. In 2010, the Ministry approved all twenty applications for the receipt of funds from abroad. As for the financial support we offer, the Ministry funds the projects of civil society organisations through a financial grants programme, with a total budget of 1.4 million Bahraini Dinars for 2006-2010. The Ministry also provides land and property, which it rents out to civil society organizations at a reduced price, as well as providing halls for their activities free of charge through the National Centre for NGOs Support and other social centres.